Police are asking for the public’s help to identify a man wanted for questioning in the suspicious death of 26-year-old Lyric McHenry. Lyric, a Los Angeles, California native, was found unconscious and unresponsive at approximately 5:05 a.m. on August 14, 2018, according to a release by the New York City Police Department. Police say Lyric was found lying on a sidewalk in the Bronx neighborhood of New York. The condition in which Lyric was found starkly contrasts with how she appeared when friends and family saw her just four hours earlier. According to Lyric’s father Doug McHenry, a Hollywood movie director and producer, Lyric had been at Manhattan’s Dream Downtown hotel and nightclub celebrating her 26th birthday with her younger sister, Maya McHenry, and a few friends. Edna Sims, a spokesperson representing the McHenry family, told Dateline that the celebration was going as planned as the clock struck midnight. According to the family spokesperson, around 1:00 a.m., someone on the dance floor told Maya that Lyric had gone to the hotel’s entrance to help somebody whom the bouncer wouldn’t let inside. Lyric’s friends and family say they never saw the person Lyric got in the car with. Just four hours later, police would find her alone, nearly nine miles away. It would be a few more hours before Lyric’s father Doug, who lives in Los Angeles, would hear the news. Doug’s youngest daughter, Maya, who had thrown Lyric the birthday party the night before, was at her Manhattan office when Doug called her. Fortunately, Doug called before the detectives arrived. Doug flew to New York the next day. The New York City Police Department had already launched an investigation into Lyric’s death, and Doug said he met with detectives once he got the city. Doug told Dateline that police believe Lyric’s body was found under suspicious circumstances. “She obviously didn’t walk from the nightclub all the way to some desolate place in the Bronx when the nightclub is in Manhattan. Somebody obviously transported her there,” he said. He continued to say the NYPD has done a “phenomenal” job with their efforts to find out what happened to Lyric. The NYPD’s investigation has led them to want to talk to a man who appeared on surveillance footage near where Lyric was found. The McHenry family spokesperson told Dateline Lyric was found in a pink slip dress, a gift from her mother, Jennifer. “It was short, which is why I think the police thought it was a pajama top,” Edna said, adding that the dress is the same dress Lyric wore out to her birthday celebrations the night before. Since the incident, reports have surfaced saying Lyric was found with a bag of cocaine. But family spokesperson Edna told Dateline that’s not true. Edna told Dateline that Lyric’s toxicology report won’t be ready for a couple of weeks. Preliminary reports from the medical examiner said Lyric’s organs were unharmed and she was not sexually assaulted. According to Lyric’s father Doug, the preliminary reports also confirmed that Lyric was 15 to 20 weeks pregnant at the time of her death. “I did not know Lyric’s condition and nor did anyone else up until it was confirmed by the medical examiner,” Doug told Dateline. Family believes Lyric, herself, was also unaware of her pregnancy as she was not physically showing, had not told her closest confidants, and had not altered her routine or lifestyle in any way. Doug says he was not aware of Lyric having a boyfriend, and does not know who fathered Lyric’s unborn child. But right now, that’s not his main priority. Doug says he and his family plan to set up a scholarship in Lyric’s name to help young people get their start in the media business. Lyric, a Stanford University graduate, was a producer whose passion for internet content focused on social justice issues, her father told Dateline. Since her untimely death, Doug told Dateline he has been able to connect with many of Lyric’s peers who shared her passion for media production, collaboration and social justice. Lyric’s friends asked Doug to speak at a gathering in Los Angeles on Sunday. Doug, a movie director and producer himself, told Dateline how proud he is of the woman and producer Lyric was. Doug added that Lyric was in the process of applying to business school. A statement released by the McHenry family says Lyric also volunteered for the Obama Campaign in 2007-2008 and again in 2012, both times working on the L.A. fundraising staff and organizing various campaign events. 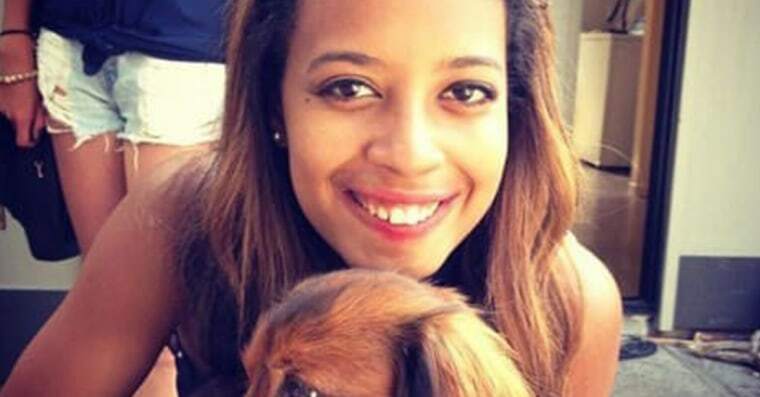 Lyric McHenry was just 26 years old at the time of her death. According to her family’s statement, Lyric is survived by her father, Doug McHenry, and her mother, Jennifer, a celebrity stylist. She is also survived by her sisters, Maya McHenry and Tiffany Woods. The funeral service will be held in Lyric’s hometown of Los Angeles at a date to be determined. Anyone with information in regards to the unidentified individual is asked to call the NYPD's Crime Stoppers Hotline at 1-800-577-TIPS (8477) or for Spanish, 1-888-57-PISTA (74782). The public can also submit their tips by logging onto the Crime stoppers website at WWW.NYPDCRIMESTOPPERS.COM or by texting their tips to 274637 (CRIMES) then enter TIP577.